Classic single gang 3 port stainless steel design. Configured to fit standard single gang outlet box. Designed to support the distribution of voice, data, and other communication needs to the work area for commercial or residential applications. Offers a flush face surface. 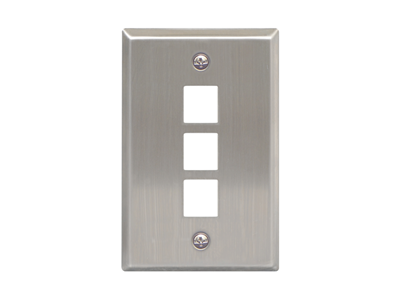 Accommodates a wide variety of easy to snap-in modules, providing configuration flexibility.